While it may be t-shirt season for some, others still prefer to look sharp over the summer despite the hot weather. How do you compromise great style with combating the heat wave? Check out Outlier’s Blazed Cotton Pivot Shirt. Made with special fibers to wick away sweat, the sharp dress shirt will help keep you cool over these very warm months. But is the shirt as good and functional as it sounds? Here’s out hands-on experiment with one of Outlier’s premier dress shirt. In Outlier’s Blazed Cotton Pivot Shirt description, the company describes the textile used as something that can “repels dirt and sweat so you stay cleaner and drier.” That sounds like an interesting promise. 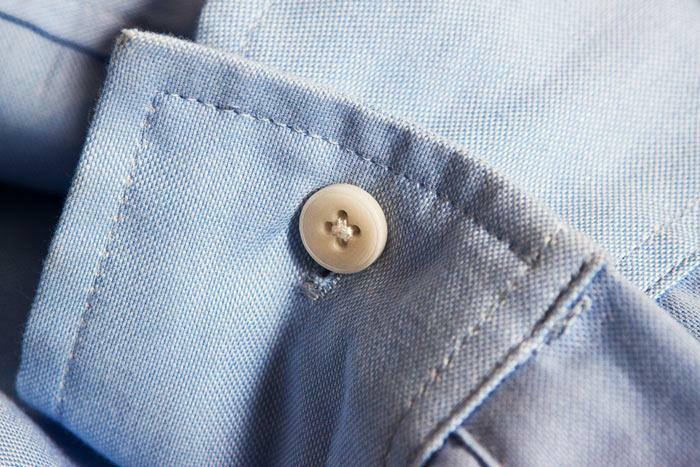 The first touch at the shirt gets you a soft, thin, oxford cotton material that feels incredible to wear. The shirt is woven with “Naxo-Tex treatment” to help make the fabric breathe better, and ensure sweat doesn’t show through. 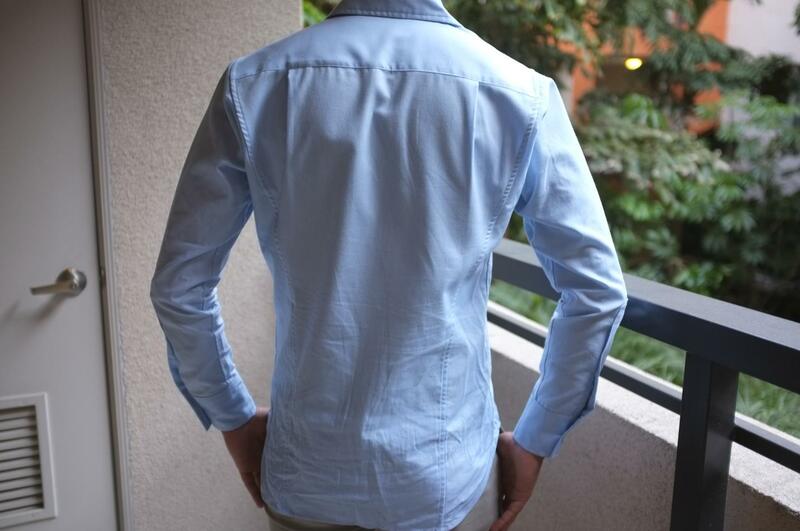 The fit is also modern and nice, and best suited for those who like slim-fitted shirts with a wide, spread collar. What’s also interesting about the back cut are the pleats that help conform to your torso. You often find this in female clothing to fit a woman’s curves, especially in the chest area. This feature does make the fit on a man’s body feel more natural, and moves with you as you go on the day’s adventure. It’s not unusual, but it is a bit more rare to find dress shirts with front chest pockets. A shirt this clean cut probably didn’t need the pocket to distract the smooth lines, especially if you have something stored inside. What drew us into the Blazed Cotton Pivot Shirt was the ability to provide a cooling, performance wear-like ability to a classic dress shirt. We tested this out by having our model walk 20 minutes in the sun each way to and from work, and go throughout a full day at an indoor office. We didn’t experiment with anything too extreme — just enough to reflect an average day of wear one would endure wearing any ol’ dress shirt. The results were rather interesting. Did the shirt keep us cool during the day time? Yes. We’re happy to report no armpit stains or any sweat marks of the sort. The fabric does indeed breathe quite well while continuing to be comfortable to wear. What’s odd is that while the shirt does appear to look dry, it certainly didn’t feel it. If you put your hand and wiped it down the back, you’d find your hand pretty darn wet; as if you just washed your hands on the sink. It’s that weird. Now, the shirt might not keep us totally dry but this is still an interesting feature, at least with our particular case. Humans produce sweat naturally to cool ourselves down — it’s part of our body reactions to changing surroundings. So the fact that we have a bit of wetness on us kind of keeps us cool. Whether you actually want to walk around feeling like you’re taking a shower throughout the day is a whole ‘nother story. Though Outlier did not make this claim, we also wish the shirt was a bit more wrinkle-proof. Our model had his shirt tucked into the pants and wrinkles were pretty significant by the end of the day. This is not a huge complaint, but it would be a great added feature given the price of the Blazed Cotton Pivot Shirt. This one will really depend on your personal taste as far as the sweat factor goes. We happen to strangely enjoy the feature. Aside from its ability to make us seem at least like we’re not sweating at all, the fit is also pretty great and the shirt feels nice to wear. The Blazed Cotton Pivot Shirt also comes nicely wrapped in tissue paper and a black box with the Outlier logo in front. The added luxury is not forgotten, and we think it would make a nice addition to any man’s closet as a classic staple. It might even be the one the ladies want to borrow and wear because of the soft, comfortable feel. For those who rock the business casual look at work, the shirt would also be a neat piece to wear under your sports coat to help with breathability. Just remember that you might still feel pretty darn wet, but at least only you will know it. 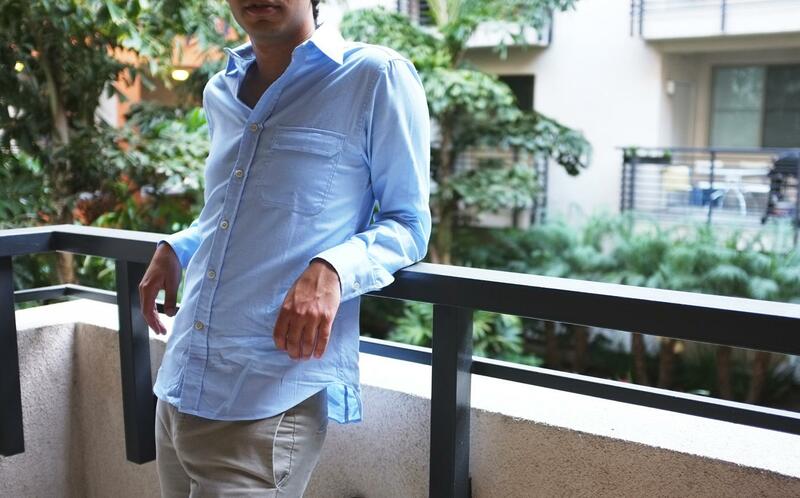 Outlier offers the Blazed Cotton Pivot Shirt in three different colors: Uptown Blue, Light Blue, and White. The shirt comes in sizes XS to XXL, and retails for $145.